Writing is by its very nature a lonely business. Solitude helps. Somehow, at some point after spending time alone, the magic happens: words, paragraphs, chapters and novels finally emerge to do what they will. After a day spent home alone writing it’s good to meet with writer friends. These are people that understand what it’s like to start from scratch and go on to create an imagined world. They also write and rewrite until it works (and hopefully sings), and send out until there’s a positive response. London literary event The Books that Built Me seemed like a good excuse to get together with writer friends Stephanie Zia and Jacqui Lofthouse. Writer and playwright Samantha Ellis discussed the books that have had a major influence on who she is and in turn inspired her to write How to be a Heroine. 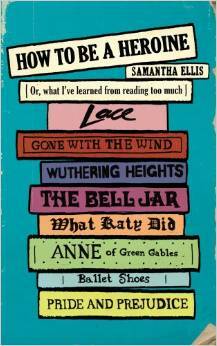 Her choices ranged from Henny Penny to Lace and personal favourite, Wuthering Heights – always worth revisiting. 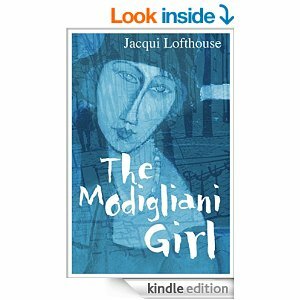 And more importantly, it was a good opportunity to celebrate the publication of Jacqui’s latest book, The Modigliani Girl. On a sadder note, I heard from another friend who has had to bow out of our writing group due to ill health. He’ll be missed. I don’t have a room of my own, though I’d like one because I’m quite messy and like to leave work in progress out and ready to re-engage with at any time. But, I can write pretty much anywhere as long as no one interrupts. I write in the car (not while driving), at my desk, in a chair, or the sofa (my dog beside me), in cafes and on trains. The main aim: keep going to the end, rewrite, edit and do it all again until it’s as good as ready.